от 8 шт. — 2 774 руб. от 16 шт. — 2 699 руб. 3 390 руб. 48 шт. 3-4 недели 1 шт. 1 шт. 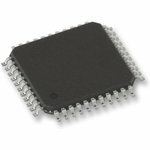 The AD9240ASZ is a complete 14-bit monolithic Analog-to-digital Converter (ADC) combines a high speed CMOS process and a novel architecture to achieve the resolution and speed of existing hybrid implementations at a fraction of the power consumption. The ADC with an on-chip, high performance, low noise sample-and-hold amplifier and programmable voltage reference. An external reference can also be chosen to suit the dc accuracy and temperature drift requirements of the application. The device uses a multistage differential pipelined architecture with digital output error correction logic to guarantee no missing codes over the full operating temperature range. A truly differential input structure allows for both single-ended and differential input interfaces of varying input spans. A single clock input is used to control all internal conversion cycles. 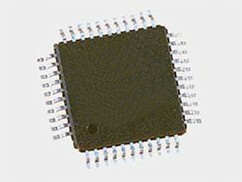 The digital output data is presented in straight binary output format.